A variety of plums can be purchased at most supermarkets in Malaysia. Red plums, however, isn't a local fruit so it may be harder to find in smaller markets and almost impossible to find at roadside stalls. I purchased mine from a hypermarket. 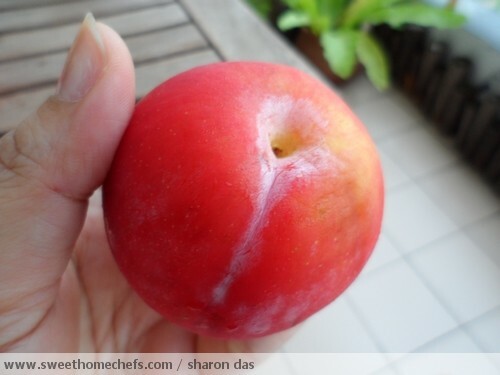 Red plums are juicy and sweet on the inside, but the skin has a sour taste to it. For this reason, I prefer having it peeled when eating it fresh. 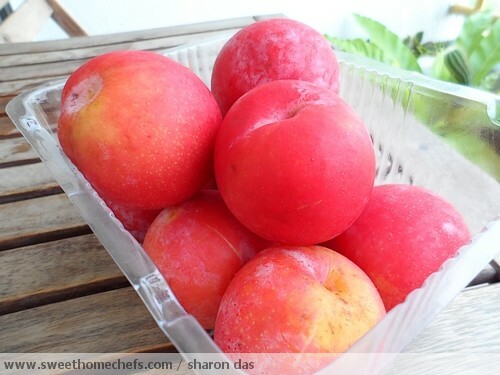 Choose plums which are plump and rich in natural colour. Don't be too alarmed over the whitish coating on top. That is just wax bloom - something produced by the fruit to protect it against invading insects. It may even be a good thing if you see more wax because it would mean that it has been handled less by people or could be fresher. Plums can be eaten fresh or cooked into sauces. It is also great for making jam or jelly and compliments many baking recipes. It can be kept in the refrigerator for about five days. If you have an unripe plum, just leave it outside. It takes just a day or so for it to ripen at room temperature. There are several ways to do this. 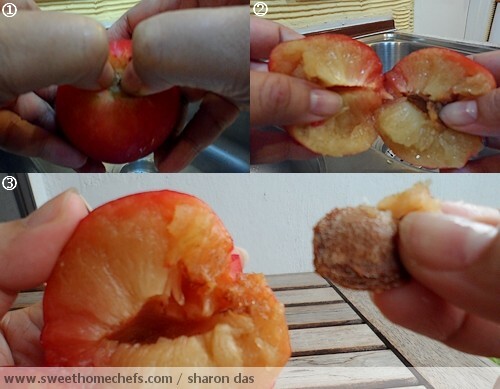 A quick search on the internet led me to 5 Tips on How to Eat a Plum in Two Bites - wikiHow. Place your thumbs in the center and pull it apart. Remove the stone and it's ready to be eaten. I attempted it as instructed but having all that juice wasted on my fingers is just not my cup of tea. It is, however, a great way to eat if you don't have a knife with you or you want it quick. Knowing how sour the skin is, I decided that it would be best if I removed it first. I discovered that the best way to do this is to use the knife. Peeling it off using my fingers involved too much work. My trusty old peeler was no match against this juicy fruit either. After removing the skin with a knife, I sliced it in the middle, all the way around the stone. Then, I applied the knowledge I had gained from wikiHow - with thumbs on top, I easily opened the fruit up to reveal the stone. Pull that out and tadaa! 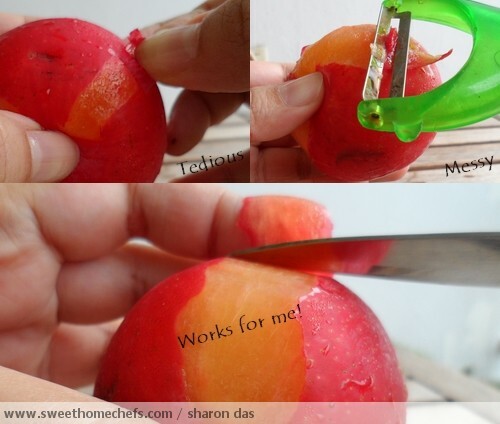 That's how I eat plums! I guess everyone has their own way of doing things. 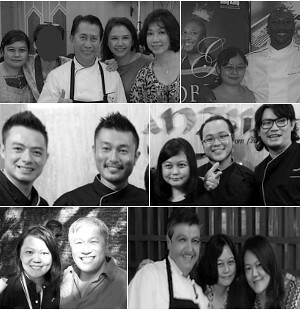 Do share with us how you eat yours. Don't throw away the skin next time, it has a lot of vitamins in them! I love eating with the skin that gives some sourish tang :) Yummy!